Just like Zuck, we believe that privacy is a crucial element to the proper functioning of the future of the Internet. That’s why this month we will be going deep on privacy coins. Vitalik Buterin, co-founder of Ethereum, has coined this major problem the “scalability trilemma”: how can blockchains be scalable, secure, AND decentralized?¹ Solving this trilemma remains the foremost objective in the industry today. If we cannot find solutions, adoption will never take off, and the complex challenges our industry addresses like non-sovereign money, individual data ownership, or banking the unbanked, may never be solved. Replace the “direct democracy” approach blockchains use for governance with a representative democracy. The independent nodes all over the world elect a subset of nodes to manage the network. This way, decisions only have to pass through the delegates and can be made much faster. Three of the largest blockchains by market cap, EOS (#5), Tron (#10), and Tezos (#22) use delegated governance. Critics of delegated blockchains argue that with fewer machines, the network will become less secure, and furthermore, these “elections” are subject to manipulation, increasing the potential for corruption. Many crypto enthusiasts were originally attracted to Bitcoin because they believed it was anonymous. This is not true; contrary to popular belief, Bitcoin is far from anonymous. While real-world identities aren’t revealed, when users engage in a Bitcoin transaction, their public keys (public address), and transaction amounts are broadcasted to the public ledger. Anyone who has obtained a record of the blockchain over time can easily visit these users’ wallet addresses to see how much Bitcoin they own.³ ⁴ Furthermore, once someone transacts with a counterparty he/she learns one of the counterparty’s public keys, and thereafter can trace the holdings tied to that public key. In fact, law enforcement has previously used end-users’ misperception of Bitcoin’s transparency to its advantage. Kathryn Haun, who is a General Partner at Andreessen Horowitz, previously led a Ted Talk on how the US Government used full-nodes on Bitcoin to trace $13.4M to Ross Ulbricht, the mastermind behind the first modern darknet market, Silk Road. Nevertheless, there are multiple blockchains that have been engineered to be private. The major ones, based on their technical proficiency⁵ and the market cap of their associated cryptocurrencies, are Monero (#13) and Zcash (#21). In addition, two new privacy coins, Grin and Beam, launched in January 2019 and are generating a lot of recent buzz in the industry. Privacy research continues to be at the forefront of the crypto space, as we’ve seen with the most recent Zether whitepaper, published in late February 2019 as a collaboration between the senior research teams in applied cryptography from Stanford University and Visa. So, what does privacy have to do with the scalability race? Think about it this way — when you don’t tell everyone, everything, you theoretically can save time and space. Capitalizing on this interesting axiom, blockchain developers have been working hard to implement “zero-knowledge” proofs, which are protocols within the blockchain code that allow independent nodes to verify transactions in a block without identifying the participants involved or the inputs and outputs of the transactions. There are ways, using math, to make this possible, which is an amazing and potentially game-changing concept.⁶ Thus privacy blockchains and scalability progress are intimately linked. Over the next few weeks, we will release analyses on the leading and bleeding edge privacy coins. Today, we start with two of the oldest and largest privacy coins by market capitalization — Monero and Zcash. Disclaimer: These are in-depth reports that will take time to read, but hopefully you will learn a lot. Our recommendation: pick a Sunday afternoon, kick up your feet, and enjoy. You may ask — how can the validators be sure the resulting Pedersen Commitment equals the difference in their blinding factors? To test this, before the validators approve the transaction they could have the involved parties redo their transaction with dummy blinding factors supplied by the validators and see if the resulting Pedersen Commitment is what the validators anticipate. Ultimately, there are many ways the protocol can test for the “soundness” of a zero-knowledge proof without breaking with zero-knowledge principle. These are called rangeproofs, and they are a series of proofs that prove a blinding factor lies within a certain interval or “range” of known numbers. A common rangeproof is to prove that the value transacted is non-negative, as transferring negative values would allow the sender to create value out of thin air.⁹ Confidential Transactions require that each transaction contains a rangeproof(s), and the rangeproofs are actually included in the block with the transaction data. For those interested, you can learn more about Monero’s particular rangeproofs here. In order to understand transmission privacy, we need to briefly walk through how data transmission works on the Internet. Data transfer on the Internet, whether via a blockchain or other, fundamentally works in the same way: the data is originated and sent from a computer, known as the “client” node.¹⁰ The client node has a public address associated with it, which represents its location within the Internet, known as an IP address. Whether we realize it or not, the data sent and received online is always triggered by a command from the client node via an Internet browser, such as “send me to ESPN.com,” or “send this message to that e-mail address” or “send 3 BTC to Alice.” Based onTCP/IP, the communication protocol for the Internet, the sender’s command tells its client node what the intended destination node is supposed to be for the data.¹¹ Almost always, unless the client and destination nodes are on the same local network, the client node only knows the destination’s domain name, such as espn.com or an e-mail address. In other words, the sender doesn’t know the IP address of the receiver. As a result, the data travels through the Internet being forwarded from the client node through a pathway of nodes, known as “relay” nodes, looking for a DNS server that contains the domain name in its database and its associated IP address. Here’s a key point to understand: the data itself isn’t traveling aimlessly looking for the right DNS server. If that were the case, the data would pass through and be exposed to a bunch of unnecessary nodes. Instead, the shortest path between the senders address and unknown receivers address is solved, like a puzzle, using Dijkstra’s algorithm.¹² Once the shortest path is determined, the data passes through the relay nodes along that path. Therefore, unnecessary nodes do not touch the data. Privacy, the form of cryptography, strikes again. One of the preeminent proposals behind transmission security are anonymous P2P communication systems. Heard of Tor? Tor, or The Onion Router, was the first commercialized anonymous P2P communication system, developed in the mid-1990’s by the US Navy to protect US intelligence communications online.¹⁴ The purpose of Tor is to enable anonymous transmission of data on the Internet. Nodes on the Tor network essentially have downloaded the Tor software that allows them to decrypt encrypted data transmissions. The Tor network consists of the user/client, internal relay node and exit nodes, which are the last node in transmission before the data exits out of the Tor network and is sent to the receiver, who is likely outside of the Tor “bubble.” Additionally and also as popular, there’s the Invisible Internet Project (I2P), which takes anonymity one step further. I2P, initially released in 2003, is an encrypted Internet inside of the Internet; sender and receivers are apart of the I2P network, and the protected data never leaves the bubble. Because of this, some refer to I2P as the true darknet. Both I2P and Tor are free and open-source software. You can learn more about how Tor and I2P work and their similarities and differences as P2P encryption networks here. 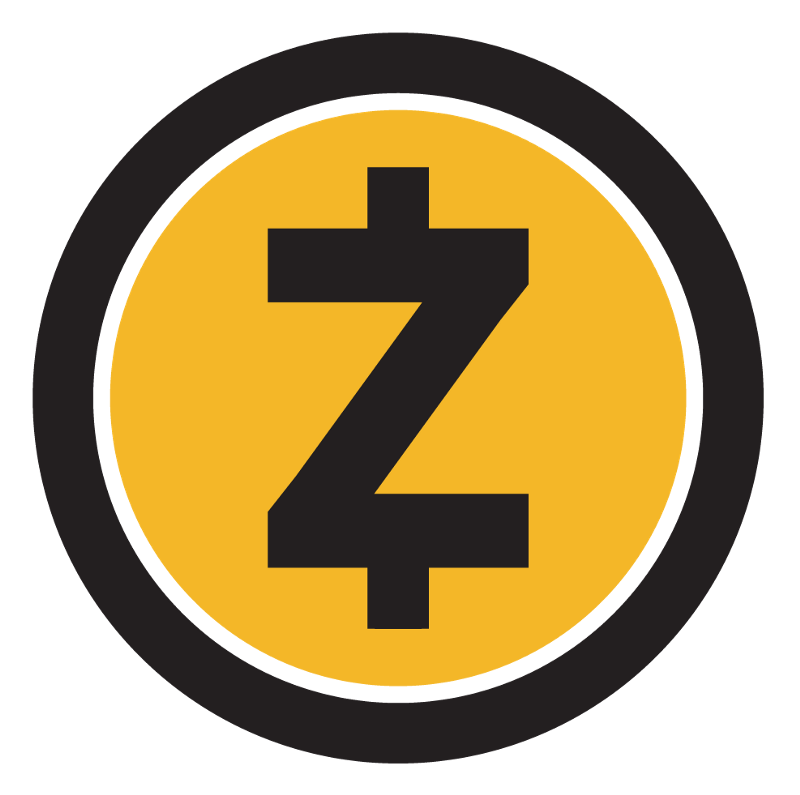 Zcash allows users, both senders and receivers, to choose whether they want their transaction information to be transparent or shielded. A fully transparent transaction, where both the sender and receiver opt out of hiding their information, looks and operates similar to that of Bitcoin. However, if any part of the transaction is shielded, Zcash uses its zk-SNARK algorithm to verify the transaction. 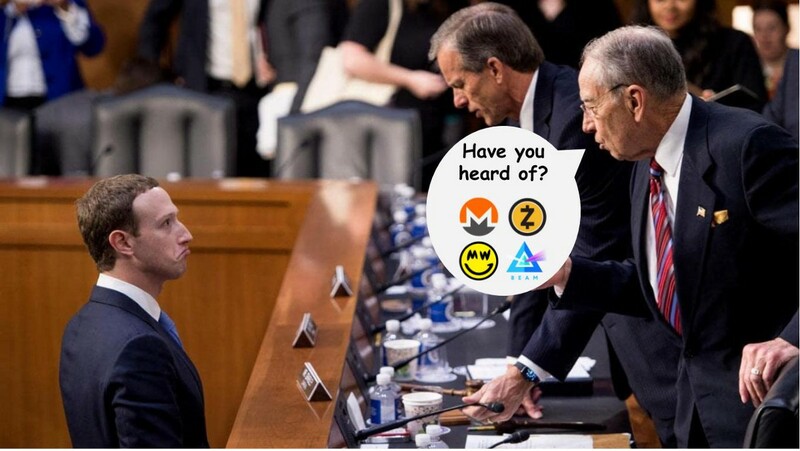 Using a zero-knowledge algorithm rather than signature mixing makes it easier for Zcash to comply with law enforcement, as users can reveal their transaction history for a shielded address to a third party by providing their “view key”.¹⁵ Zcash also contains a memo field for shielded transactions, which you can think of as the description line on a check that only you, the recipient, and whichever third party to whom you’ve sent your “view key” can see. What’s the difference between Zcash’s zk-SNARKs and Monero’s RingCT bulletproof? They are different zero-knowledge algorithms that have trade-offs based on time, size and cost. Exploring the trade-offs can get quite technical and is outside the scope of this paper. (For the ambitious among you, you can start here). Nevertheless, there is one aspect of the comparison that is important to explore: Zcash’s zk-SNARK implementation has, as founder Zooko Wilcox describes it, an “unfortunate vulnerability in the math,” where it requires a trusted setup, while Monero’s bulletproofs do not. Unfortunately for Zcash, their ceremonial days aren’t behind them. Every time Zcash wants to hard-fork their protocol, they have to create a new blinding key and conduct another ceremony. On April 13, 2018, Zcash completed their second “Power of Tau Ceremony,” which was public and included hundreds of participants globally,¹⁷ in preparation for their Sapling hard-fork. All in all, Zcash’s protocol design leads by technical example. However, their trusted setups are still a headache, and there remains risk to the underlying security of the network if someone were to obtain this blinding factor. This captures the trade-off between Zcash and Monero. One utilizes a trustless protocol (zk-SNARKs) reliant upon a trusted setup. The other has trustless features but is not trustless throughout, instead relying on obfuscation tricks whose success is correlated to its network size. Neither are perfect, which is why other privacy coins (Grin and Beam) have continued to launch. ¹ Zooko Wilcox, founder of Zcash referenced in the following Zcash section, has coined Zooko’s Triangle, a similar trilemma around building a system that is secure, decentralized, and uses a naming scheme that is actually meaningful/memorable to the end user. Read more here. ² There is an additional approach, which is to permission the blockchain. Permissioned blockchains, also referred to as consortium blockchains, are fully decentralized but nodes have to be invited to participate. From a governance standpoint, they are essentially closed-sourced, direct democracies. Many enterprises are exploring consortium blockchains as an alternative to their legacy centralized database infrastructure. See JPM Coin and Quorum as an example here. ³ By default, Bitcoin’s wallet is built so that each time you receive a payment, your public address is updated to a new, unique address in order to avoid observer traceability. However, Ethereum does not do this by default, so you can trace a user’s activity by following his or her public key on the blockchain. Read on more on this here. Bitcoin has developed many privacy methods (Centralized Mixing, Tumblebit, CoinJoining, Confidential Transactions, Stealth Addresses, off-chain solutions such as Lightning Network), but these are not a part of the default protocol because they either involve third parties to work or haven’t been implemented yet. Read more on this here. ⁴ There is demand for blockchain-tracking startups whose objective is simply to monitor wallets and transactions on blockchains to detect criminal activities. ⁵ This statement is based on the fact that the majority of leading publications in the blockchain industry that have published primers on privacy blockchains have concentrated their analysis on Monero and Zcash. ⁶ In fact, zero-knowledge proofs were originally invented in 1985 by MIT researchers Shafi Goldwasser and Silvio Micali and University of Toronto researcher Charles Rackoff. See the original paper here. In proof systems between a prover (sender) and a verifier (receiver), research traditionally focused on safeguarding the system from the malicious intentions of the prover. The team instead focused on safeguarding the system from the malicious intentions of the verifier. As we figure out how to make the Internet more secure for users, zero-knowledge proofs are gaining momentum today. Read more from Matthew Green, one of the founding Zcash scientists, here. ⁷ Additionally, the more expensive it becomes for nodes to scan the blockchain, the more expensive miner fees will become. Miner fees are not the focus on this report, but read more on this here. ⁸ This proof works because of the homomorphic properties of Pedersen Commitments. 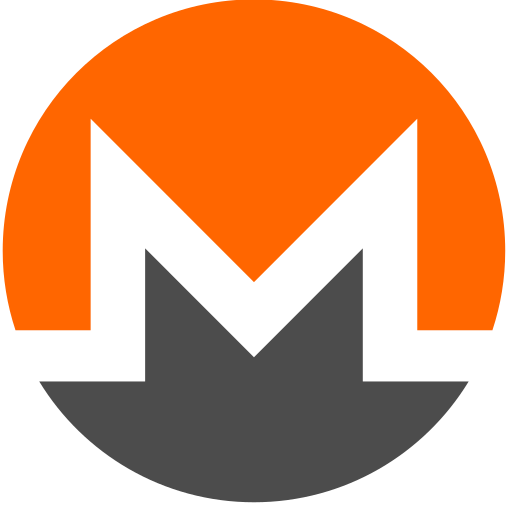 ⁹ For example, if the sender sent 2 Monero to the receiver and kept -1 Monero in his/her wallet as change, the sender essentially sent 1 Monero to the receiver he or she did not own. ¹⁰ The client node can be a personal computer, smartphone, server, etc. any type of computer. ¹¹ For those interested in a visual illustration of the evolution of the Internet, see here. ¹² Does this sound like how GPS works? You don’t drive aimlessly, and the path is predetermined? Dijkstra’s algorithm and variants thereof are used for GPS systems as well. ¹³ For more information on common types of cyber attacks, read here. ¹⁴ The idea for an anonymous communication system was proposed by cryptographer David Chaum in 1981, which soon thereafter developed into eCash, an anonymous electronic P2P money system that many consider to be the original precursor to Bitcoin. Read more here. ¹⁵ Monero offers a view key feature as well, but it only allows third parties to review information on the receiver (show the public address tied to the stealth address), which isn’t very helpful. ¹⁶ In fact, Zcash announced in February 2019 it had discovered a counterfeiting vulnerability in the system 17 months after launch, which was fixed by the Sapling upgrade in October 2018. ¹⁷ In fact, adding hundreds of participants made the ceremony more secure, as an attacker would have needed to learn all hundreds of shards to steal the blinding factor, rather than just six. Also, multiple mixing algorithms were used to randomize the shards, unlike the first ceremony which used just one.